Shoppers’ habits have been “transformed” by the recession, with more people opting to save cash by buying their essentials from budget stores. New research out today proves there has been a surge in the numbers shopping at Aldi and Lidl. The Where We Shop survey, which analysed the spending habits of 3,000 Irish consumers over the past year, found 37% of people said they have been shopping at Aldi more, with Lidl being the store of choice for 29% of people. 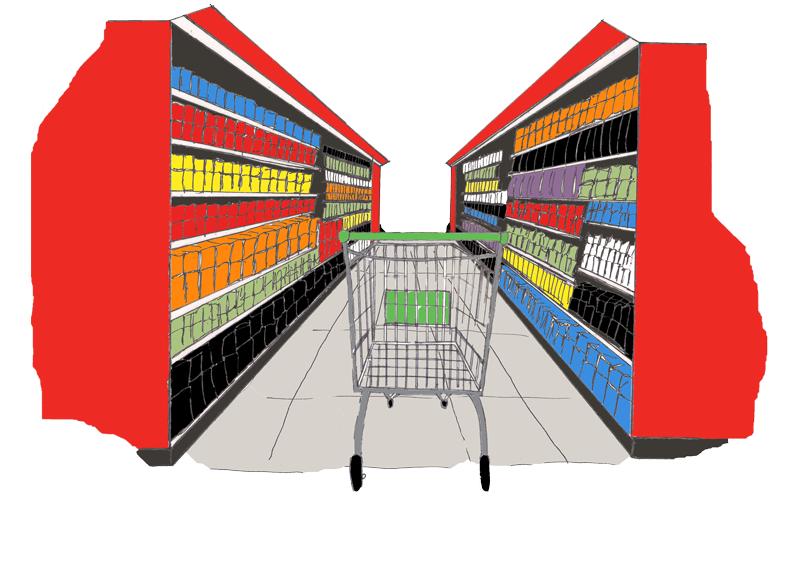 According to a survey by eDigitalResearch, online grocery shoppers tend to purchase less online than they do in store. The research revealed that 29% of respondents felt that they made far fewer impulse purchases online than in store. In comparison, just 7% said that they purchased more ‘additional impulse buys’ online than they do in a store. Six out of 10 Irish adults plan on tuning in to watch the World Cup over the coming weeks, according to the latest Consumer Insight survey by Empathy Research. 23% of the 1,155 participants claim they never miss a World Cup, with this sentiment stronger among men (38%) than women (9%) and more pronounced in Dublin (30%) than anywhere else in the country: Rest of Leinster (20%), Munster (23%), Connacht (18%) and Ulster (14%). Food producers and processors need to rethink of their business strategy in order to capitalise on the opportunities afforded by online retailing, according to a new report from Rabobank. The report, ‘Food Processors Challenged By Online Growth Dynamics’, outlines three strategies processors must employ if they are to stake their claim to this lucrative market, described as the 'next stage' in the evolution of retail. Galway retailers remain upbeat about the future of retail in Ireland, however the overwhelming majority say the Government at local and national level is not doing enough to support the retail economy. Supervalu is the best supermarket in Ireland at promoting Irish products, according to research by Checkout and Ignite Research. Of the 3,000 respondents surveyed, one third of shoppers (33%) cited SuperValu as the leading supporter of Irish producers, followed by Dunnes (23%), Aldi (12%), Tesco (11%) and Lidl (6%). Walking through Dublin’s Ilac Centre this morning, it was like a scene from any department store in the States on Black Friday. Hundreds of bargain-hunting shoppers queued patiently, waiting for the new TK Maxx store to open its doors for the first time. It’s the discount clothes giant’s 18th Irish outlet and its fifth store in Dublin - and has created 90 jobs. The new shopping mecca features more than 27,000 square foot of this season’s must-have fashion and accessories for women, men and kids, as well as homeware – all at a fraction of the normal retail price. Should the Public Health (Standardised Packaging Of Tobacco) Bill 2014 gain both Seanad and European approval, it will come into law on 20 May 2017, the government has said. In the text of the Bill, which was presented to the Seanad on Friday, it says the "Act shall not apply to the sale, before 20 May 2017, of tobacco products manufactured or released for circulation before 20 May 2016, provided that on the date of their sale those tobacco products comply with the European Communities." The Mallusk-based Henderson Group saw its turnover rise to £642.8m in 2013, an increase of 3.6% on 2012. The leading retail, wholesale and foodservice group had record profits of £18.4m in 2013, up 17.5% on the previous year.